I’ll be the one cheering with a hot chocolate in one hand and a big poster in the other. The Philadelphia Marathon is back. Last year PB and I finally fulfilled our dream of running a half marathon. We trained with a group of friends and had so much fun running, eating, and having sweatpants parties together. After a failed first attempt in 2008, we completed our first half marathon. As if that wasn’t enough, my crazy husband and I hosted a huge after party with the help of friends- complete with a fun poem invitation. We still have sweatpants parties, but this year PB is the only one in the group running. He has set his sights on a higher goal: the full marathon. Training for your first marathon is a bigger deal than a half marathon. It requires a lot of patience, hard work, and drive. PB has all of that, but he is lucky that he also has a secret weapon: Gina. Gina has run many marathons, and she even BQed at one earlier this year. Not only is she coming to run the marathon, but she has been helping PB with his nutrition planning for before, during, and after his long runs. 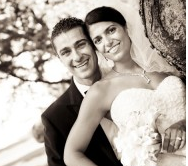 The pre-race menu we will prepare together is based off of Gina’s many years of experience. We are keeping it simple yet straightforward, balanced and delicious. I am also hosting a post-race after party. That will be for a much larger group and will require a significant amount of cooking, so we have kept this menu as simple as possible. The only rule? Sweatpants required. Since I am not running the race, I have spent these training weeks training for the pre-race dinner and post-race party. To me, it’s just as much fun, don’t you think? 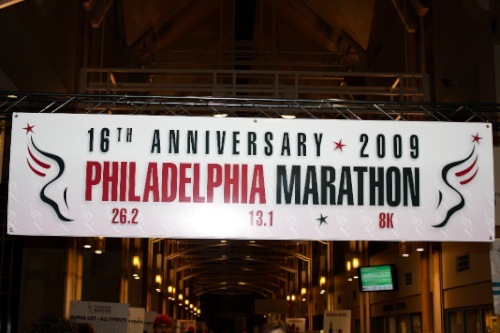 Reading our 2009 Half Marathon Race recap makes me really excited to cheer on PhillyBoy and friends in just a few weeks!!! I am a participant in Project Food Blog. My third post, Champagne Wishes!, is now up. Voting is open through 6 PM Pacific Time October 7th. If you’d like, you can vote for me here! GO PB!!!! What a supportive wife you are. I’ll take some of the salad and lots of the strudel please 🙂 And you know I love your zaatar bread. Its a huge hit amongst my friends as well. I’ll look for you and PB there! I’ll be the one hopefully not being dragged across the finish line by EMT’s! HA!! How fun!!! I am running my first half that day!!! Maybe I will see yoU!?!? oh , and I LOOOOVE sweatpants!!! i love that menu for ANY day of the week 🙂 except for the za’atar bread – i’d love to try that! Oh dear I am SO excited for this! It’s a little over a month away and I can’t stop thinking about it. So very pumped to share such a special milestone with one of my best friends in the whole world! Hot chocolate cheerleaders are neccessary! Good luck PB! Ahhh good luck, PB! He’s going to do great! And I hope your post race dinner party goes off without a hitch! Good luck to PB! I’m doing the Philly full to. I’m nervous, but I think it will be fun. It’s been four years since I’ve run a full marathon, so I’m excited to try it again. Sounds delish! Any reccs on where to eat the night before? 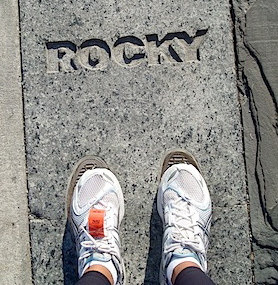 I am making the trek from Rhode Island for the marathon as well–it will be my first. Super excited for the big day! Good luck to PB! Your menu looks fabulous! I especially love the Za’atar bread… it’s one of my favorites. Aww, you guys are so cute. That does sound like a Gina inspired meal 🙂 You guys are going to have so much fun!